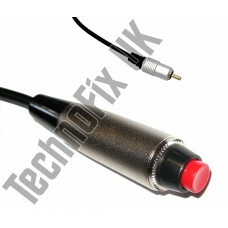 Hand PTT switch, phono RCA connector for W2IHY Eq etc. 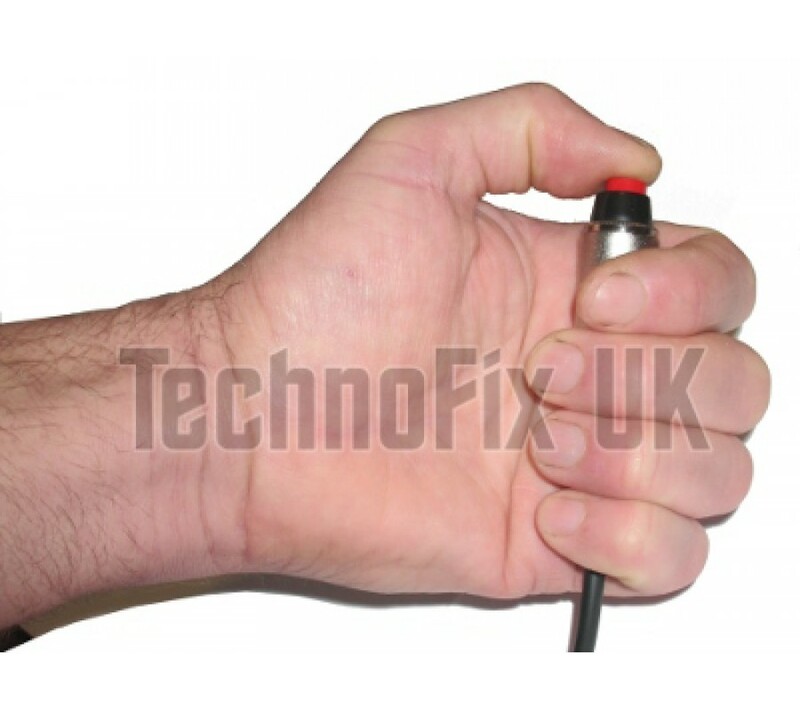 A heavy duty, hand-held momentary action push button switch which is ideal for use as a PTT/transmit switch for your amateur radio station. The ultimate in fast, efficient operation. Perfect for use with headsets and desk or boom microphones. Fast, easy tx/rx changeover suits every operating style from rag-chewing to contesting. 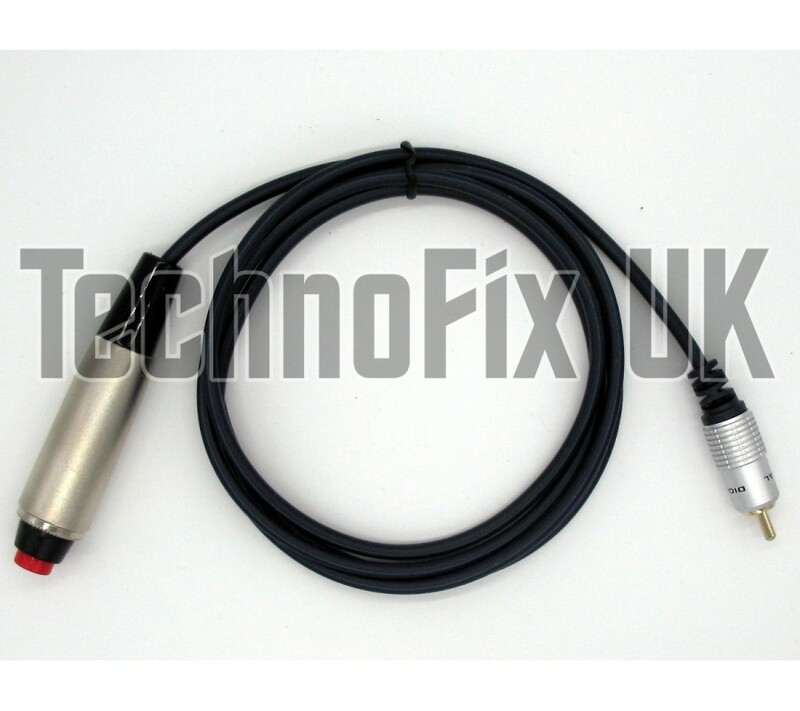 A 1.4m/4ft 6ins (approx) screened (shielded) straight cable is terminated with a phono (RCA) plug which connects directly to your W2IHY equaliser or other equipment with a phono (RCA) PTT input. Easily adapted to other set-ups, the switch features normally open contacts which close when the button is depressed. Contacts are rated at 125V, 3A. Tough cast metal body with rubber cable strain relief sleeve. Overall length of body 84mm (3¼ins), diameter 19mm (3/4ins) approx. Also available with a straight cable. 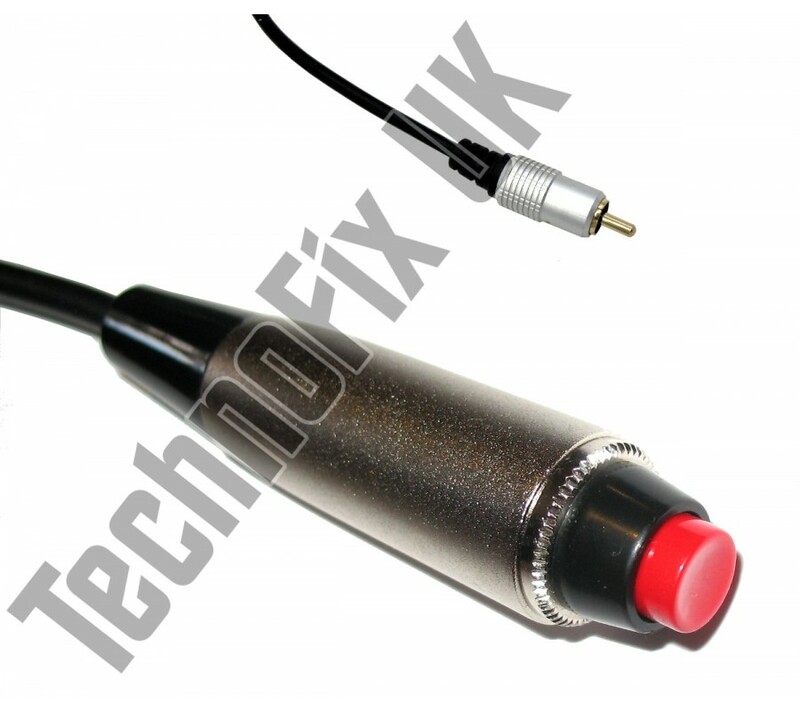 We also sell a range of cables for Heil and other studio microphones with suitable PTT input.